Have you been searching for free crochet rug patterns? I have posted an easy pattern below and it is a basic single crochet using color changes to create some cool rugs. 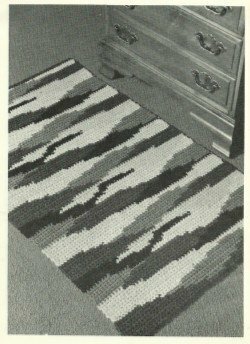 There was a time that most homes featured one or more crocheted rugs made by the lady of the house. As more and more women began taking jobs outside the house, the time that could be spared by our grandmothers to make these heirlooms has decreased. In recent years, there has been an upswing in the demand for these homemade items coupled with the desire to learn how to produce them. The question for today's crocheters is where to find free crochet rug patterns, especially in a day and age where it's difficult to find patterns for crocheted rugs in the first place. Fortunately, there are a myriad of places online where it is still possible to find free crochet rug patterns. Before you go looking for them though, there are a few things you need to be aware of before you begin your search. Keep these things in mind when you begin your search or you will have difficulty in finding the type of pattern to best suit your needs. For some reason, there are some sites that group hooked rugs and rag rugs in the same category. For those unfamiliar with the difference, hooked rugs are an old form of making rugs where the technique dates to the late Renaissance. Wool cloth of different colors is cut into tiny strips of 1/16 to 1/8 of an inch. Little loops of the cloth are pulled through a backing material using a hook to form the picture or design on the front. Quite often, the picture resembles cross-stitch or needlepoint when finished. Rag rugs, on the other hand, are floor rugs that are manufactured from strips of cloth at least an inch in width that have been sewn together. 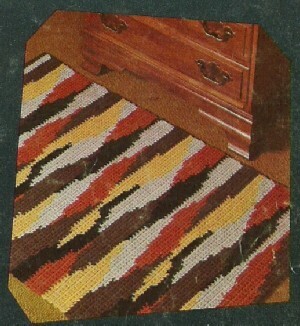 These strips are then crocheted into the rugs using a large crochet hook of at least an “M” size or larger. A third category of free crocheted rugs patterns you're likely to encounter are those which simply scale up other types of crochet patterns by using rug yarn and bigger hooks. 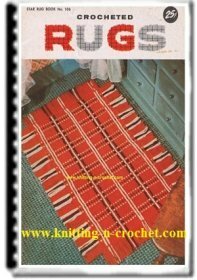 Depending on the type of crochet rug you're looking for, a good source for free crochet rug patterns is a site that specializes in vintage crochet patterns (i.e. those from prior to 1960). 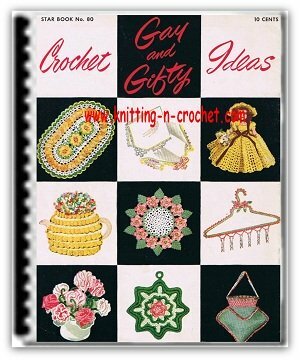 Crochet and craft magazines from these earlier eras, especially those that came out monthly, usually featured at least a couple of crocheted rug patterns per year. Many of these were usually variants of rag rug patterns using either rug yarn or the sewn cloth strips. From time to time, it's still possible to find leaflets containing free crochet rug patterns in craft stores and yarn shops that carry rug weight yarns. Although rarer today, there are still a few yarn companies that will come out with patterns featuring their particular brand of rug yarns. As with other types of free patterns, these rug patterns are available free of charge with a yarn purchase. 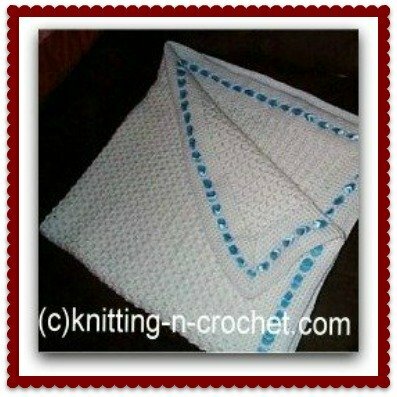 One more place to check for free crochet rug patterns check the pattern exchanges. Members trade in their old, unused patterns for ones that are new to them. Should all other avenues yield no results, consider recycling some of your favorite afghan patterns. Some of your favorites are likely to make very attractive rugs when worked in rug yarn with a bigger crochet hook. 2nd row – Sc in first 26 sc, draw up a loop in next sc, drop brown to front of work; with orange yarn over and draw through both loops on hook, working over brown strand to conceal it, sc in next 6 sc changing to brown on 6th sc as before, working over orange strand, sc in next 4 sc, drop orange to front of work; with brown sc in remaining 28 sc. Ch 1 turn. 3rd row – With brown sc in first 28 sc changing to orange on 28th sc, drop brown to back of work; working over brown strand to conceal it, with orange sc in next 14 sc, changing to brown on 14th sc, drop orange to back of work; working over orange strand, sc in next 3 sc, drop orange to back of work, with brown sc in remaining 20 sc. Ch 1 turn. NOTE: When working with nore than one color, always work over the dropped strand to conceal it and to place it in proper position where it will be used again on the next row. If necessary break off strand and fasten, then attach strand where needed. Follow ever even row on chart from left to right and ever uneven row from right to left.